NASA has a new humanoid robot. Nicknamed Valkyrie, it stands six feet two inches tall and bears a glowing NASA logo in its chest. And just like the humans it (sort of) resembles, it only took nine months to make. Designed for the DARPA Robotics Challenge, Valkyrie -- officially named R5 -- is expected to aid disaster relief efforts. It’s a role that could require driving vehicles, cleaning up debris and cut through walls. 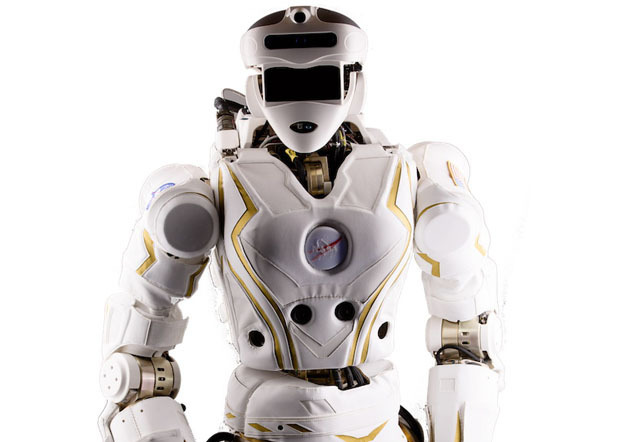 It will have a chance to show off its skills during the DARPA Robotics Challenge, held Dec. 20-21 in Homestead, Fla.
Valkyrie comes from the same team that worked on the Robonaut, NASA’s first humanoid robot to travel to the International Space Station. The international DARPA Robotics Challenge features 17 teams. The team leaders are expected “to guide their robots through eight individual, physical tasks that test mobility, manipulation, dexterity, perception, and operator control mechanisms,” according to the website. They are competing for a spot in the overall finals, slated for late 2014, where a $2 million grand prize will be awarded.